An upset resulted in an exciting finish for the first division of the $750,000 Rebel Stakes (G2) on Saturday at Oaklawn Park, which split the 2019 edition of the race into two divisions. Long Range Toddy make a strong closing move down the center of the track to catch heavy 2-5 favorite Improbable and win the contest by a neck. The win was worth 37.5 points and secured a spot in the Run for the Roses on May 4 at Churchill Downs for Long Range Toddy, who now boasts 53.5 total points on the Road to the Kentucky Derby. "The horse is doing extremely well," trainer Steve Asmussen said. "He stepped up. (Jockey) Jon (Court) gave him a beautiful trip today, and I love how he earned it late. The horse is extremely kind. Jon worked him the other day and his comment was that he was push button." Corruze and Proud Nation were scratched from the race and prohibitive race-favorite Improbable was coming off a three-month layoff. He broke from the outside in the seven-horse field and raced wide around both turns sitting in fourth through fractions of :23.77, :47.58 and 1:11.97. Jockey Drayden Van Dyke got the colt to make his move at the top of the lane and Improbable shot to a one-length lead in the stretch before being caught in the final strides to lose by a neck. Second-choice Galilean was another 2 1⁄4 lengths behind in third and Extra Hope finished fourth after leading midrace. Improbable earned 15 points for his second place and now has 25 points in Kentucky Derby points. He’ll likely need another top-three finish in his final Derby prep to earn his way into the Kentucky Derby. Off at 8-1 odds, Long Range Toddy returned $18.80, $4.20 and $2.60 across the board and finished 1 1⁄16 miles in 1:42.49. Improbable paid $2.40 to place and Galilean $2.40 to show. The $1 exacta was worth $22.90 and a 50-cent trifecta paid $24.60. Long Range Toddy was coming off a third-place finish in the Southwest Stakes (G3) and a runner-up effort in the Smarty Jones Stakes, both at Oaklawn. He won the Springboard Mile in December at Remington Park, and is now on his way to the Churchill Downs for the Kentucky Derby. The 1 1⁄16-mile Rebel Stakes (G2) has been broken into two divisions for 2019 at Oaklawn Park. The two fields will each race for a $750,000 purse and Kentucky Derby qualifying points of 37.5 for first, 15 points for second, 7.5 points for third and 3.75 points for fourth. 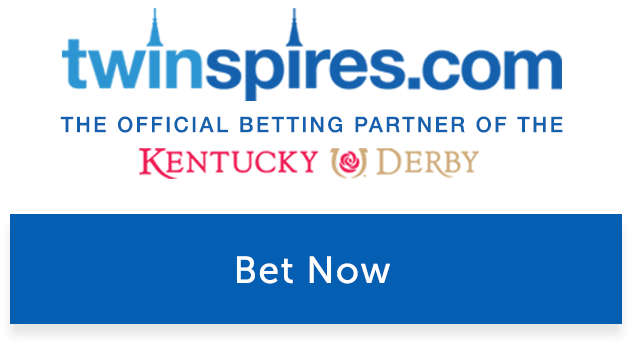 The two headliners are highly-regarded Bob Baffert-trained colts Game Winner and Improbable. Those two are the morning-line favorites and are separated into the two divisions. Free Brisnet PPs for the Rebel Division 1 (Race 8)! The two races for three-year-olds on Saturday, March 16, will be run in Race 8 at 5:57 p.m. (ET) and Race 10 at 7:06 p.m. (ET). The $350,000 Essex Handicap for older horses will be contested in Race 9. The first division of the Rebel has a field of nine with Improbable (#9) (3-5) the heavy favorite and drawing the outside post. The undefeated City Zip colt won his maiden and then the Street Sense Stakes on the Breeders’ Cup Friday undercard. He followed with a season-ending win in the Los Alamitos Futurity (G1) and now the speedster makes his anticipated 2019 debut. Talented West Coast rider Drayden Van Dyke looks to keep Improbable perfect with a 4-4-0-0 line. Steve Asmussen, a seven-time leading trainer at Oaklawn, has two horses running, with his best shot Long Range Toddy (#2) (10-1). The Take Charge Indy colt won three straight races last year, including the Remington Springboard Mile, a Derby prep. He was third last month in the Southwest Stakes (G3), another Road to the Kentucky Derby race. The Richard Mandella trainee Extra Hope (#1) (6-1) breaks next to Long Range Toddy from the rail with Mike Smith riding. Extra Hope won an allowance/optional claimer last out, but closed 2018 with a fourth and third in a pair of graded events, with the latter against winner Improbable in the Los Alamitos Futurity when he was forced wide into the first turn. He’ll stalk the early pace with lots of speed up front. Galilean (#8) (3-1) is given the best chance to upset the favorite for trainer Jerry Hollendorfer. The Uncle Mo colt has shown tremendous speed while winning three minor stakes races and now moves to open company, adding much intrigue to his continued run as a pace presser. Easy Shot (#4) (15-1) finished fifth in the Sham Stakes (G3) and third in the Robert B. Lewis Stakes (G3), two Derby preps, in his last pair. Closer Corruze (#3) (30-1), Proud Nation (#5) (50-1), Ninth Street (#6) (50-1) and pace presser Classy John (#7) (15-1) complete the first division of the Rebel. Ridden by Ricardo Santana, Jr. Owned by H. V. Farms, Ltd.